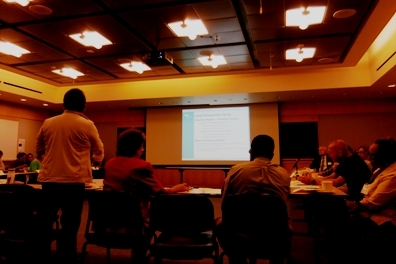 I attended the UCSF quarterly Community Advisory Group meeting on Sept 3, 2014. 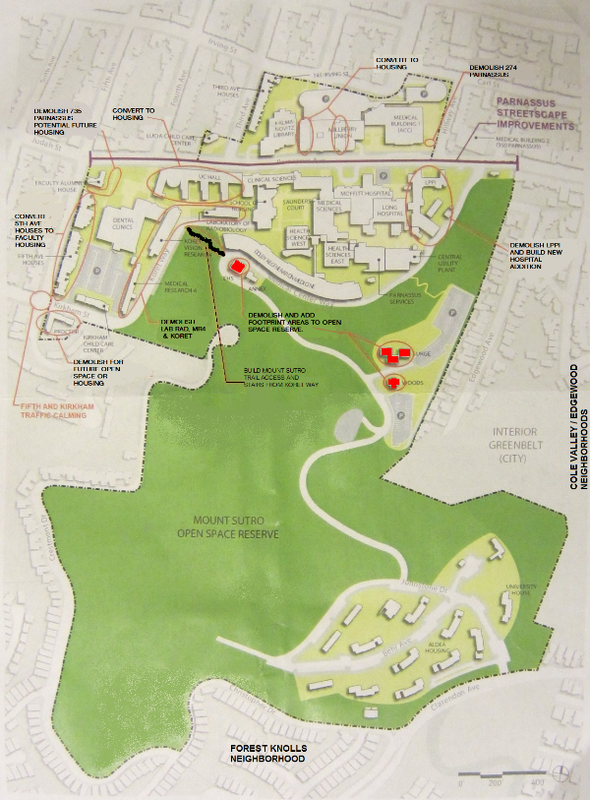 The two topics of immediate interest to the Forest Knolls neighborhood are Aldea Student Housing and Sutro Forest. Recently [Aug 12, 2014], UCSF had a meeting specifically to discuss removing Aldea student housing from the Space Ceiling. I reported on that HERE. At this meeting [i.e. the Sept 3rd meeting], they said they will go ahead. In brief – following UCSF’s massive conflict with neighbors about its expansion plans, in 1976 the University of California Board of Regents passed a resolution that introduced a “space ceiling” that prohibited UCSF from expanding to more than 3.55 million sq feet of space in the Parnassus campus. The ceiling (which has been exceeded years ago, but still serves as a target and benchmark) does not apply to housing. However, Aldea Student Housing, which is next to Forest Knolls along Clarendon Avenue, was specifically excluded from the exclusion, meaning that it does count toward the space ceiling. 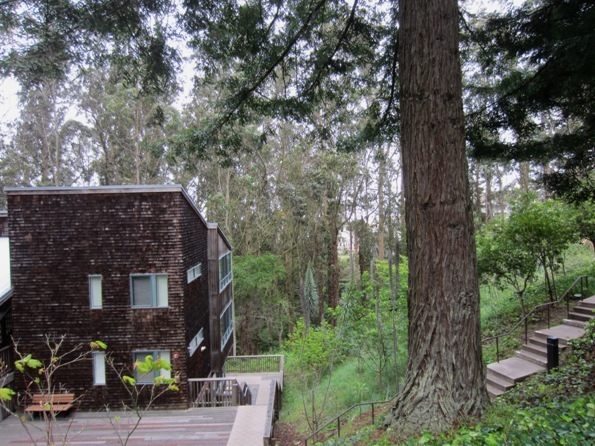 UCSF wants to remove the restriction on Aldea Student Housing. It would set a poor precedent in which the Board of Regents could remove any restrictions despite prior agreements with the community. It ignored earlier commitments. 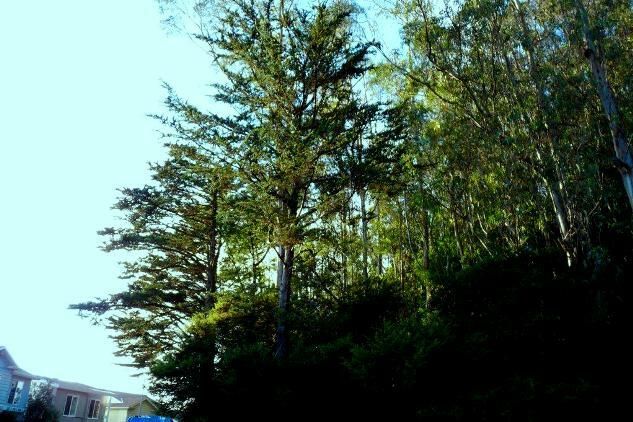 When UCSF built the Stem Cell Research facility, it used about 0.5 acres of the Forest; it was going to demolish two dorms in Aldea Student Housing and return the area to the forest in compensation. Under the new proposal, this would not happen. At this CAG meeting, Associate Vice Chancellor Lori Yamauchi said they will ask the Regents to remove Aldea from the space ceiling. They think only a minority of the community oppose it. However, they were not asking for the repeal of the space ceiling as a whole. They also said they would not increase the density of units at Aldea beyond existing levels. They only wished to retain the buildings they had earlier undertaken to knock down. I found this reassuring. However, I met Lori later as we were leaving the building, and mentioned I’d be writing a report to the neighborhood on this website. “You can say the LRDP has no plans to build more housing at Aldea,” she said. “But,” she added, “You can write a comment from the neighborhood.” She said they would be taking comments on the LRDP to the end of this month, and on the Environmental Impact Report until October 14, 2014. One issue that was discussed was UCSF’s credibility. We’re all supporters of this great medical school. However, we have had numerous occasions when we thought we had a commitment… and found we didn’t. I don’t think there’s a huge problem with retaining the dorms as they are. But I do think there’s a problem when UCSF undertakes something, and then pretty much decides to waive its decision. Situations do change, and there may be reasons to revisit earlier decisions. But it has to be done in consultation with the broader community. They discussed minority hiring goals, and the EXCEL program that trained people from areas surrounding Mission Bay campus. There was concern about the African-American hiring goals specifically, and whether UCSF was doing enough. They hope to build a new building behind SF General Hospital (which is not seismically upgraded) to move staff currently in the old building. They discussed the new helipad at Mission Bay, which will be commissioned in October/ November. They are in talks about the Warriors planned stadium, which will be right behind the Mission Bay campus (and close to the pediatric Emergency Room), regarding traffic flows and security issues. Why this is concerning – go HERE. They will putting in signs for mountain-bike riders, informing them that they must yield to hikers and joggers. A new trail – “The Sunset Trail” is being included in the capital budget. (I think that’s the black line near the top of the map.) It will likely be built this year or next. They did not say how many trees (if any) they would remove now – or later, in consequence of the trail’s existence. UCSF will be holding a meeting on September 22nd, 2014, to further discuss the Long Range Development Plan. Recently, UCSF had a meeting specifically to discuss removing Aldea student housing from the Space Ceiling. I reported on that HERE. At this meeting, they said they will go ahead. Which meeting? And they will go ahead and exclude it from the ceiling? Also, when you wrote this meeting, do you mean the Sept. 3 or the link HERE?